My 73rd game of the season was also a working one, as we hit MD21 in the JD Welsh Premier League. 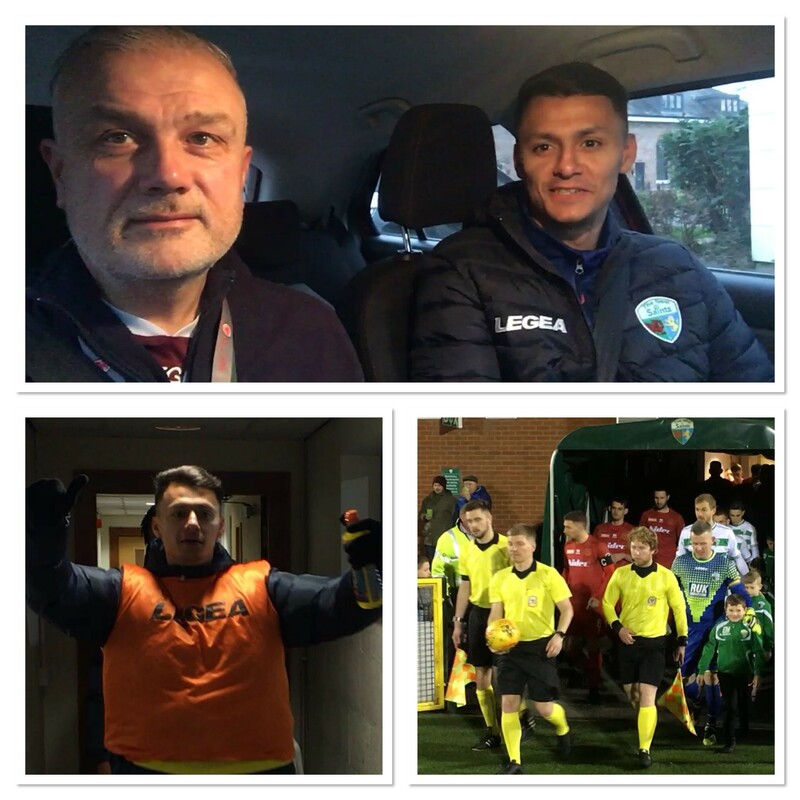 Making a slight detour to Shrewsbury, I collected the best Irishman, Dean Ebbe, and started the video that you can view below, with a spontaneous clip. His better half, Dannielle, is in the back of the car and I just knew that she would hide as soon as I started filming. The game itself was a comfortable 4-0 win for The New Saints, but with Connah’s Quay Nomads and Barry Town United also collecting maximum points over the weekend, it is as you were at the top of the table. Back to working in football though, and in particular media as I do, it’s great when you get on well with the players. After all you’re working with them week in and week out and the greater the rapport, the better the end result will be in terms of quality media content.